October 30, 2017. Last updated October 31, 2017. Not an assumption.,, there’s a pic of a brick separator o the top of the box!!!! Wait that was real? Saw a post a few days ago on Reddit and everyone was saying it's clearly fake since it's the same set haha. I don't get why they don't just re-release the set with the same item number and everything, but hey, good news for people who wanted the original one and missed out on it I guess. Yeah, and that's a great move against those resellers, who are selling the set for over a thousand dollars. Either a) Something about how their product tracking system is set up (if both have the same number, they can't distinguish between the 2017 issue and the original) and b) re-releasing as a new number gets more attention. 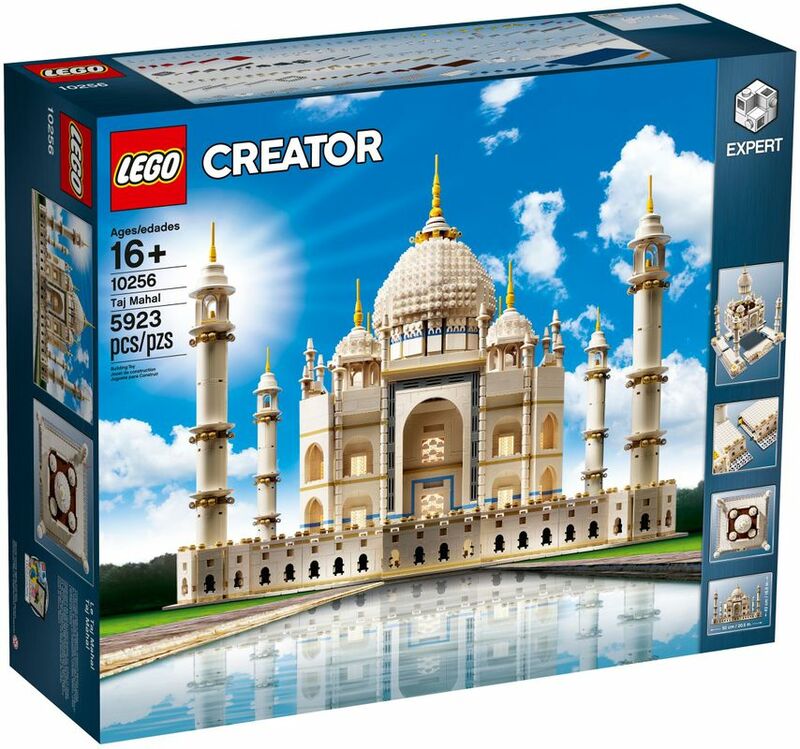 Facts about "10256 Taj Mahal revealed"
This page was last edited on 31 October 2017, at 00:02.